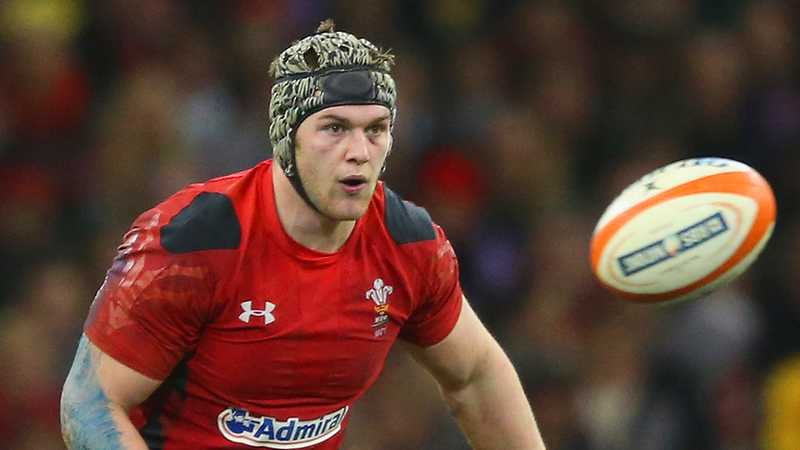 Wales flanker Dan Lydiate has signed a dual contract with the Welsh Rugby Union and Ospreys. Lydiate is just the second player to sign such a deal after his national captain and fellow flanker Sam Warburton signed with Cardiff Blues earlier this year. Lydiate returns to Wales after being unattached since October when an unhappy year-long stint with Racing Metro came to an end. While Dragons, as his previous region, had first refusal on his signature, the parties agreed to a move to Ospreys because Lydiate wished to be close to his partner's family, who live in Swansea, and to play Champions Cup Rugby. WRU Chairman Gareth Davies earlier said that he would have preferred Lydiate to join Dragons but understood the reasons behind the move to Ospreys. "I am delighted to have secured a National Dual Contract and I am looking forward to doing my best for The Ospreys while I aim to win selection for Wales," said Lydiate. "Having a National Dual Contract gives me the certainty I need for my future and I will now be able to concentrate one hundred per cent on my rugby. I enjoyed my time with Racing Metro but this is the right move for me as I want to achieve my full potential as a player based here in Wales." "We are delighted to have Dan joining us," said Ospreys CEO Andrew Hore. "Our supporters know that we have worked tirelessly to get ourselves into a strong position to be able to attract players of Dan's calibre to the Region, and we would like to thank them for helping to make this happen. "As far as we understand, Dan chose the Ospreys based on the investment we have put into creating a world class environment. We base our recruitment on selecting people with the right character. Dan matches those requirements and we look forward to working with him." The flanker heads a 12-strong list of players who will be offered dual contracts, more of whom will be announced shortly. WRU Group Chief Executive Roger Lewis, said: "This is a landmark day for Welsh rugby and I am grateful to all involved for the level of cooperation this signifies. National Dual Contracts will help us keep international class talent here in Wales available for Regional rugby and for international selection. The WRU has been actively attempting to introduce National Dual Contracts for some two and a half years so securing Dan as a National Dual Contract player is a significant step forward. "Dan Lydiate suddenly became available while Warren was preparing his list of National Dual Contract candidates which offered us the opportunity to bring a key international player back to Wales. All the players on National Dual Contracts will get the best coaching and conditioning while having their careers managed in ways which will ensure they achieve and maintain their full potential with the Regions and Wales." "This is an important step forward for Welsh rugby and will reap rewards in playing standards over the long term," said Wales coach Warren Gatland. "Any player on a National Dual Contract will remain in Wales with a Region where their development and welfare can be monitored by me and my national squad coaches and conditioners."